In a representative group for the US population, who were followed for 3 years cannabis use was associated with a lower increase of BMI (body mass index). Researchers of the Department of Family Medicine of Michigan State University in East Lansing, USA, published their research in the International Journal of Epidemiology. 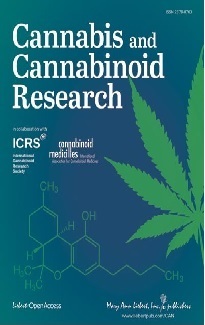 Adults completed computer-assisted personal interviews on cannabis use, body weight and height at Waves 1 (2001-2002) and 2 (2004-2005). At wave 2, 77% of the participants never used cannabis, 18% had discontinued use, 3% were initiates and 2% were persistent users. Estimated BMI change over 3 years shows an increase for all subgroups. Compared with never-users, there was an inverse association of cannabis use with obesity and body mass index. 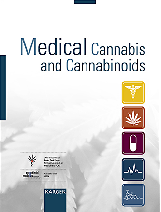 Researchers of the Laboratory of Environmental Hygiene and Forensic Toxicology of the DMPO Department in Venice, Italy, investigated the degradation of THC in herbal and resin materials containing different initial concentrations of THC. Four representative samples were collected from each study material and were maintained for a prolonged time (four years) under different controlled storage conditions: (A) light and room temperature (22°C); (B) darkness and room temperature; (C) darkness and refrigeration (4 °C); (D) darkness and freezing (-20 °C). Almost 100% of THC was degraded after four years under conditions A and B (room temperature, light or dark). Data indicated that the storage temperature and light exposure had two different effects on the conversion of THC to CBN. Models were proposed which allow to predict the storage time, if unknown, and the initial content of THC, from the measurement of THC and CBN content at any time under storage condition A.
Florida Governor Ron DeSantis has signed a bill to lift the state's ban on smoking medical cannabis. A 2017 bill enacted by former Governor Rick Scott banned smoking cannabis. Cannabis use decreased among adolescents according to a survey with 76,000 youth representative of 8th and 10th grades in the state of Washington. It only increased among 12th-grade working youth. College of Nursing-Spokane, Washington State University, Washington, USA. Department of Psychology & Neuroscience, University of Colorado Boulder, Colorado, USA. Department of Medicine and Surgery, University of Milano Bicocca, Italy. In a study with 21,066 cases with schizophrenia and 176,935 control subjects cannabis use was associated with a reduced risk for inflammatory bowel disease in patients with schizophrenia but not in the control group. Copenhagen Research Center for Mental Health - CORE, Mental Health Center Copenhagen, Copenhagen University Hospital, Denmark. In a study with 456 adolescents, who reported suicidal thoughts, and 569, who reported non-suicidal self-harm at 16 years of age, cannabis use was associated with a 2.6 increased likelihood for the transition to suicide attempts. Population Health Sciences, University of Bristol Medical School, UK. Department of Psychiatry, Yale University School of Medicine, New Haven, USA. In a study with 2173 patients infants born to mothers, who tested positive for THC in urine had a lower birth weight (mean: 2925 g) than babies not exposed to THC (mean: 3235 g). Department of Obstetrics and Gynecology and Hatton Research Institute, TriHealth, Cincinnati, Ohio, USA. In a study with mice researchers found evidence that the CB2 receptor plays an important role in healing after injury of the cornea and that these receptors are required for the normal course of wound closure. The Gill Center for Biomolecular Science and the Department of Psychological and Brain Sciences, Indiana University, Bloomington, USA. According to a study with patients in 11 sites across EURope and Brazil with first-episode psychosis high-potency cannabis use (more than 10% of THC) was associated with a higher risk for psychosis than low-potency cannabis (less than 10% of THC). Genetic and Developmental Psychiatry Centre, Institute of Psychiatry, King's College London, London, UK. Center for Drug Discovery, RTI International, Research Triangle Park, USA. A synthetic derivative of cannabigerol (CBG), called VCE-003.2, improves production of new nerve cells and protected nerve cells in an animal model of Huntington’s disease. Instituto Ramón y Cajal de Investigación Sanitaria (IRYCIS), Ctra. Colmenar Viejo, Madrid, Spain. In a study with rats suffering from diabetes and neuropathic pain CBD in a moderate dose reduced pain. Faculty of Philosophy, Sciences and Letters of University of São Paulo, Ribeirão Preto, Brazil.